Minnesota Special Hockey Eagles: Kayla Borman selected as a Fresh Faces in the State of Hockey finalist! Kayla Borman selected as a Fresh Faces in the State of Hockey finalist! Congratulations to Kayla Borman of the Minnesota Special Hockey Polars Team for being selected as one of the honored players in the Minnesota Wild/Mission Foods Fresh Faces of Hockey contest. 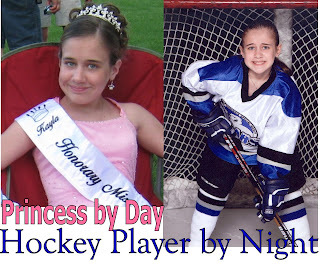 Kayla will be honored during the second period of the Minnesota Wild Game on Tuesday March 23, 2010 with a photo montage on the JumboTron, along with a short bio of her on-ice and off-ice accomplishments. Coach Chris Winkel will accompany Kayla and her family. Congratulations to Kayla and her many fans!